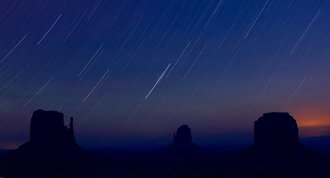 What has made Moab Utah world-famous? 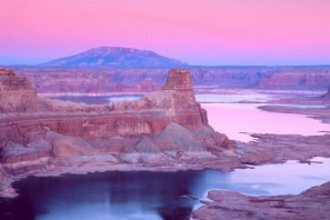 Turning a sleepy stagnant little southeastern Utah desert town into an outdoor recreation mecca? Well, for one thing, it was “discovered”. 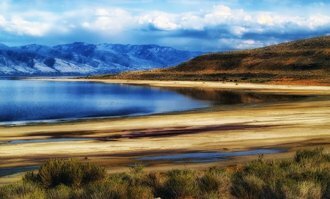 Located 233 miles (374 km) southeast of Salt Lake City . 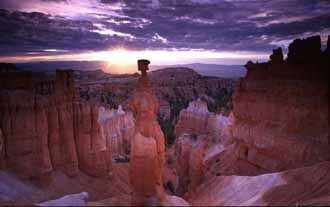 Right in the middle of the beautiful red rock canyon country near Arches National Park and Canyonlands National Park . Permanent population - 5,000. Transient population – tens of thousands every year. As with much of the state, Mormon settlers originally established Moab as a trading fort in 1855. The area served as a crossing over the Colorado River along the Old Spanish Trail. They intended to trade with travelers trying to cross the river. In 1883, as the railroad bypassed the area by 40 miles, the trade routes started to shift away from Moab. Moab’s economy was originally centered on agriculture but the emphasis shifted from trading with passing travelers to moving goods to distant markets. Little did these settlers know that people from those distant markets would eventually flock to Moab Utah. When uranium and vanadium were discovered in the early 1900’s, mining took over the local economy. 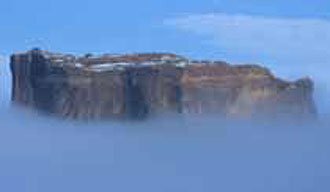 Moab became “the uranium capital of the world” when a rich deposit of uranium ore was discovered in the 1950’s. Geologist Charles Steen became a wealthy man off his discovery. The population exploded by five-fold to around 6,000 leading to a construction boom in Moab. Eventually, like most booms, this one wound down also. People starting drifting away from the area. In 1949, famous western movie director John Ford was persuaded by a local rancher to film his movie Wagon Master in the Moab Utah area. The beautiful and unique scenery brought other filmmakers to the area. In the following years, many other movies were filmed there. Arches National Park and Canyonlands National Park as well as the vistas portrayed in many of these movies, the area slowly evolved into a tourist mecca. Dead Horse Point State Park located just 32 miles from Moab Utah is one of the most breathtaking panoramas anywhere. 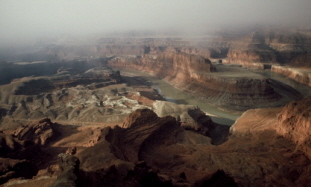 The view of the meandering Colorado River 2000 feet below is heart-stopping. Words can't describe what the photo at the top of this page illustrates. 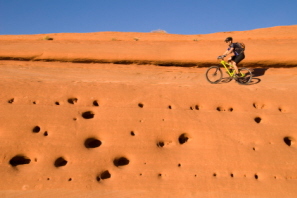 Moab has become a world-renowned for adventurers who enjoy photography, hiking, whitewater rafting and, in the more recent future, mountain biking . It has also become popular for off-road four-wheeling and for BASEjumping. 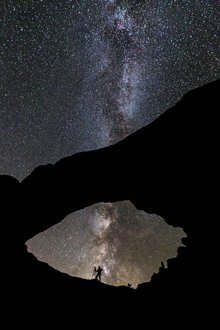 Hike and camp in Arches and Canyonlands. Mountain bike the famous Slickrock Bike Trail. Whitewater raft the Colorado River. 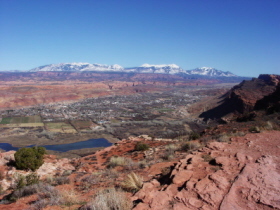 Ride a horse in the beautiful La Sal Mountains. Four-wheel one of over 30 nearby trails. They actually encourage four-wheeling here topped off with the yearly Easter Jeep Safari. BASEjump (legally) one or more of 70 nearby cliffs! 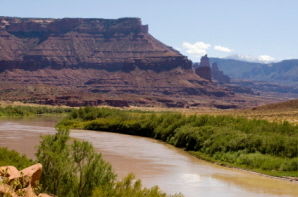 If you enjoy the charm and hospitality of a small resort town, Moab is perfect. A vibrant downtown provides numerous choices in cuisine. The nightlife is exciting. Moab offers an extensive restaurant and shopping district. Knowledgeable experienced guides and outfitters are ready to help you remember your visit for the rest of your life. The town has a thriving arts community featuring many local art galleries. 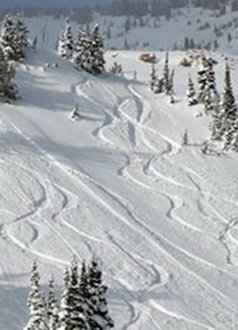 Annual Moab events add to the area's reputation of having something for everyone. The Moab Music Festival in September. The Moab Folk Music Festival in November. 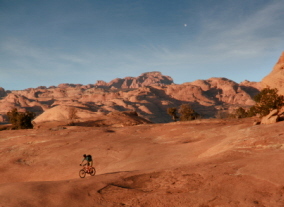 Moab is featured in the New York Times Bestselling book, 1,000 Places To See Before You Die. The book describes some of the world’s best places to visit. Moab is truly one of them. 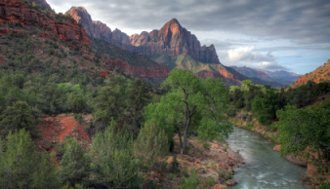 About Moab or The Moab Area? Are there upcoming events about Moab you want to tell people about? Do you have a great story about Moab? Share this info! Each entry will be visible as a link below and have its own web page. Any photos of the area? Then share them! They will be enjoyed by others for years to come. Enter Your Title such as "Upcoming Moab Events"